Since this is my first time participating in this prompt, I just want to let you know up front that I'm going a bit "outside the box" because this post is about a search for headstones, rather than the finding. 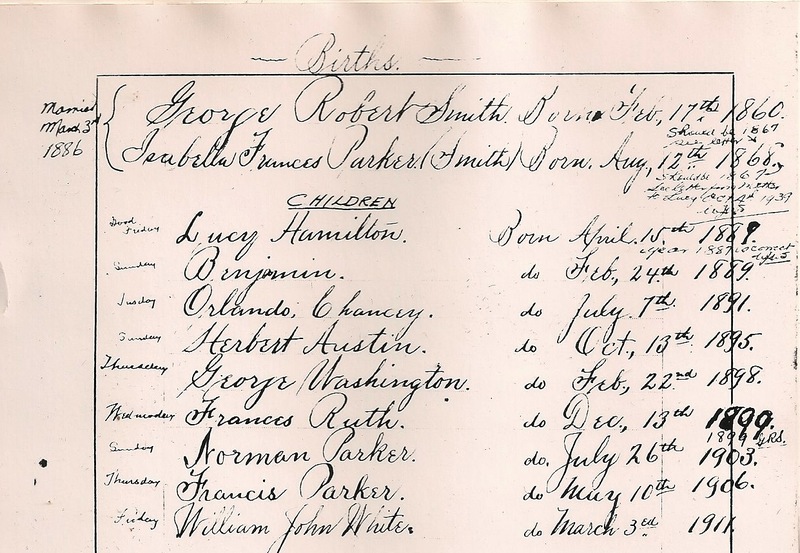 Benjamin and Norman Parker were the first and fifth born son's, respectively, of my great-grandparents, George Robert and Isabella Frances Parker Smith. Benjamin was born in 1889 and Norman in 1903, both died in the same year they were born. 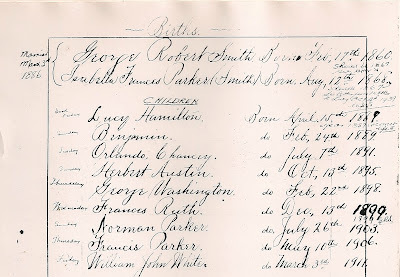 When Benjamin (named, as was the convention of the time, after his paternal grandfather) was born, George and Isabella had lost a stillborn son and had a daughter who was almost two years old. They were living in Buckingham, Quebec with Isabella's parents. When Norman was born the growing family, which now consisted of two girls and three boys, was living on the other side of Quebec in Thetford Mines. I wonder how hard it was for my great-grandmother to leave her baby's grave so far away. I only know of Benjamin and Norman through some old photocopies from the family bible. I don't know how they died or where they are buried. 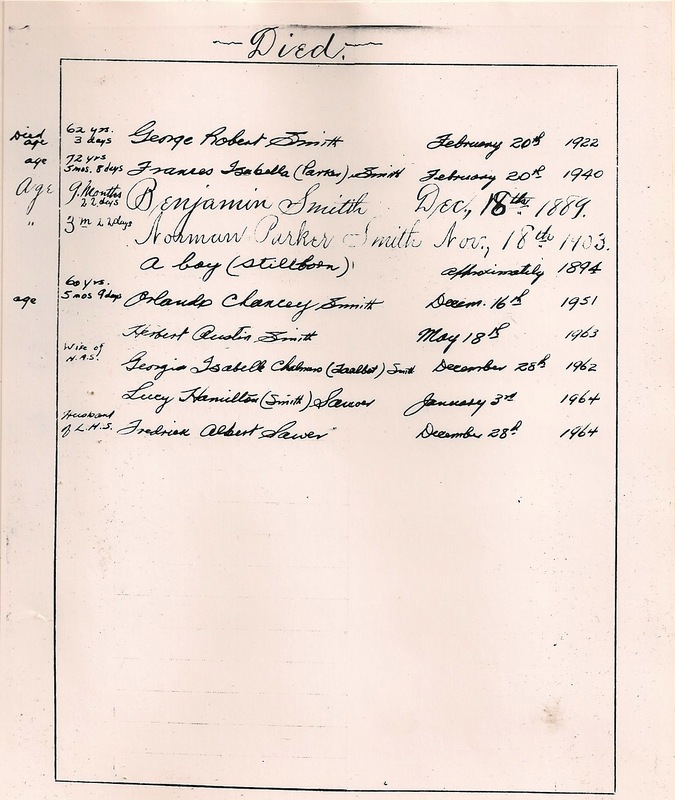 Benjamin is not buried with his grandparents in Buckingham, and Norman is not buried in Thetford Mines, that I can find, nor is he buried with his parents in Sherbrooke, Quebec. 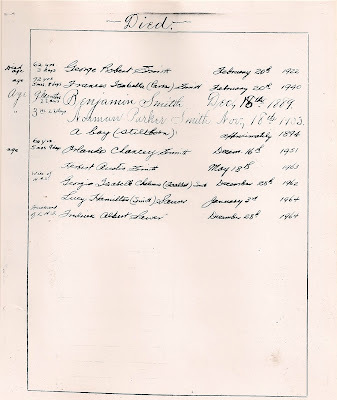 I know that many children were buried without headstones at the time that these babies died, but I would dearly love to find Benjamin and Norman if at all possible. This little mystery is really the thing that pushed me from just cataloguing what I know into doing my own research. Perhaps someday the cemeteries where they rest will be catalogued by a fellow family historian and I will find them on Find A Grave, Interment.net, BillionGraves or some site as yet unknown to me. Perhaps I will stumble on them myself while cataloguing headstones on a trip north. In any case, Benjamin and Norman have not been forgotten. I think of them often in the course of my research.